Quitting smoking is among the top New Year's resolutions, but is notoriously difficult to do and often requires multiple attempts and strategies. A growing body of research points to using a harm minimization approach for smoking cessation. Harm minimization recognizes that while quitting smoking altogether is ideal, reducing exposure to harmful cigarette smoke by switching to safer nicotine products like e-cigarettes is beneficial. A new article publishing in the forthcoming volume of the Annual Review of Public Health focuses on harm minimization and smoking cessation, with alternative nicotine products like e-cigarettes emerging as a promising avenue for people who want to quit smoking. Compared with vaping, smoking is much more harmful and prematurely kills over half of lifetime smokers. "Studies show that if most current American smokers switched to vaping e-cigarettes over the next 10 years, there could be as many as 6.6 million fewer premature deaths and 86.7 million fewer life years would be lost," said David Abrams, PhD, professor of social and behavioral sciences at NYU College of Global Public Health and the article's lead author. "The safest course is to stop smoking or, better, never to start. But a harm minimization approach recognizes that demanding absolute perfection is often counterproductive and that, when a harmful behavior cannot be eliminated, we can still dramatically reduce adverse health consequences." When people smoke cigarettes, they consume nicotine in a lethal mix of carbon monoxide and 70 known cancer-causing chemicals; contrary to what some may believe, however, nicotine causes little if any of the health harms of smoking. The toxic smoke inhaled is the culprit and is the overwhelming cause of tobacco-related disease and death. Many alternative nicotine products have been developed-including e-cigarettes and nicotine gums, patches, and lozenges-that do not burn tobacco and are therefore substantially less harmful. The authors call for the correction of mistaken beliefs that vaping is as harmful or more harmful than smoking cigarettes. Most reviews of toxicological, clinical, and epidemiological evidence show that the chemicals found in e-cigarettes are far fewer and well below levels seen in cigarette smoke. In fact, the Royal College of Physicians in the United Kingdom and other systematic reviews of all the evidence to date estimate that e-cigarettes are about 95 percent less harmful than smoking. E-cigarettes in the "Sweet Spot"
What makes someone use-and continue to use-different nicotine products? In addition to considering the harm they can cause, the authors also consider the appeal and satisfaction of products containing nicotine. Cigarettes are the most appealing, most addictive, and most toxic of all nicotine products, while nicotine replacement therapies like gum or patches are lowest in harm, but are expensive and less appealing to consumers. 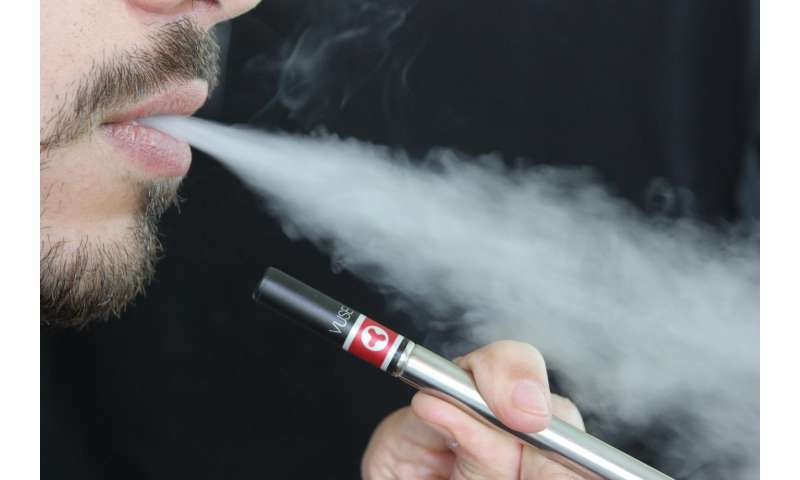 E-cigarettes fall into a "sweet spot" of high appeal and satisfaction, but low harm, making them a promising tool for smoking cessation or switching for smokers who want to use nicotine but want to safely avoid deadly smoke. As evidence of their appeal, e-cigarettes are now used more often than nicotine replacement therapies when smokers try to quit in both the United States and the United Kingdom. "A smoker who finds an e-cigarette that is enjoyable can switch. Successful switchers have either switched quickly or slowly after a period of both vaping and cutting back on smoking and by trying a flavor other than tobacco," Abrams said. The U.S. government is taking notice of the evidence on harm minimization. In July 2017, the Food and Drug Administration announced a major shift in its tobacco strategy, including recognizing the role of less harmful products, such as e-cigarettes, for smokers who want a satisfying alternative to smoking cigarettes. FDA Commissioner Scott Gottlieb said, "Nicotine, though not benign, is not directly responsible for the tobacco-caused cancer, lung disease and heart disease that kill hundreds of thousands of Americans each year." "Alternative nicotine delivery systems, such as e-cigarettes, have the potential to disrupt the 120-year dominance of the cigarette and challenge the field on how the tobacco pandemic could be reversed if nicotine is decoupled from lethal inhaled smoke," added Abrams. "E-cigarettes could provide a means to compete with, and even replace, cigarette use, saving more lives more rapidly than previously possible."